Most of Keir's adult life was spent in the Black Country where he acquired an intimate knowledge of its geography and geological landscape. 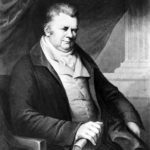 James Keir is best remembered as a chemist but he was also an author, translator, geologist, metallurgist, military captain, inventor, industrialist and member of the Birmingham Lunar Society. He was born in Stirlingshire, Scotland on September 29, 1735. 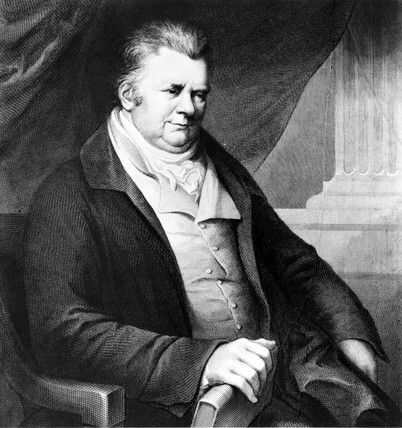 Whilst studying medicine and chemistry at the University of Edinburgh he met Erasmus Darwin. The two would enjoy a life-long friendship. In 1757 he joined the army, resigning his commission in 1768. Intellectual and industrial opportunities brought Keir to settle in the West Midlands in the early 1770’s when he went into partnership with his cousin, forming Messrs Archibald & James Kier, to produce metal ship parts for the British Navy. By 1771 he had married Susanna Harvey (daughter of the Harvey family of Birmingham ironmasters) and leased Holloway End Glasshouse in Amblecote near Stourbridge. Later taking on John Taylor and Samuel Skey as partners. They supplied window glass, decanters, wineglasses and chemical wares to Matthew Boulton. By 1778 Keir looked elsewhere to employ his chemical and organisational expertise. Taking up an offer from Matthew Boulton he moved to Winson Green to be closer to the Soho Manufactory where he became involved in its manufacturing and marketing practices. When Watt patented his letter copying press, Boulton and Keir were partners in the venture. During his military career Keir met Alexander Blair, a like-minded Scot, and around 1780 they joined to begin an alkali manufactory along the Birmingham Canal at Tipton. They took over the former site of Bloomsmithy Mill and eventually produced alkali, soap, white and red lead and eldorado and iron window sashes. The scale of the works at Tipton was considered second only to Soho. Around 1790 Keir moved to The Woodlands, Hill Top, West Bromwich to be closer to the works. In 1794 Keir and Blair purchased Tividale Colliery. The coalmine provided fuel for the chemical works and geological specimens for Keir to study. 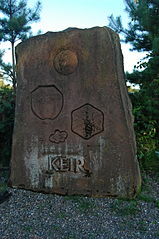 From the time he settled in the West Midlands Keir was connected with the Lunar Society of Birmingham. Members like Boulton, Darwin, Watt and Priestley supported each other’s personal and entrepreneurial pursuits. He was a frequent ‘chairman’ at meetings of the Lunar Society which he helped to hold together by his tact and force of character. He played a significant part of the revolution out of which modern chemistry evolved although less is known about him compared to other Lunar men. Throughout his life he continued to experiment, invent and study. He often acted as a chemical consultant with many important men requesting his advice or opinion on their work. Keir was elected a fellow of the Royal Society on 8 December 1785. James and Susanna Keir had two children, a boy Francis who died in infancy and a daughter Amelia who married Jean Louis (John Lewis) Moilliet at All Saints Church in 1801. From Amelia’s writings we know that Susanna died suddenly aged 55 on 20th November, 1802 just a few days after her granddaughter’s christening and is buried at West Bromwich church. James Keir wore her wedding ring suspended from his neck thereafter. James Keir had died peacefully in his sleep after a long period of illness and decline. She had visited him regularly at his Hill Top home until his death though the visits were often unhappy “from seeing his superior mind gradually departing and his body suffering”. Often he would not even recognise her. Amelia Keir was married to Jean Louis (John Lewis) Moilliet on 19th May, 1801 by Rev. M. Jesse at All Saints Church. Her Swiss husband was a merchant and later a successful banker who became very wealthy. He owned property here and abroad including Chateau de L’Imeratrice at Pregny on Lake Geneva which had belonged to Empress Josephine. They lived for many years at Smethwick Grove, then Hamstead Hall before buying Abberley Hall in 1837. It was here in 1845 that a fire destroyed many of Keir’s papers and manuscripts. The lives of the Keirs, Darwins and Galtons were intertwined over many years and in 1832 James Keir Moilliet, the grandson of Keir, married Lucy Harriot Galton, the grand daughter of Erasmus Darwin. James Watt said of him: "A mighty chemist and a very agreeable man"